If you’re even just a tiny bit interested in or intrigued by space travel then this is definitely a must read that grips with it’s wide scope and fast pace and won’t leave you resenting mathematical equations you don’t want to concentrate on, as there are no ( in fact there’s E=mc2, but that’s all and it isn’t explained) equations you need to pay much heed to. The book starts with the past and ends up looking far into the future. In the beginning you get a glimpse into the space race between the US and the Soviet Union and even before that into the history of rocketry (don’t worry, you won’t have to understand rocket science to read this part!). After the first few chapters of bits about history we get to the present and get an overview of basically who’s up and coming on the space scene – how NASA and Roscosmos are faring and how the Chinese are catching up and possibly might lead the way back to the Moon, but you also get to read about the major players in commercial spaceflight and about the people behind it – Burt Rutan, Elon Musk and Richard Branson to name the major players. At about the middle you get to the prospects for future – is it likely humankind will colonize the Moon or Mars and how can we get there and how would terraforming work anyway? The book dips into technologies that aren’t yet feasible, and also looks at some other interesting topics/problems the future might hold – is there life on other planets? Has humankind survived the most crucial and dangerous part of it’s evolution or is it still ahead of us? 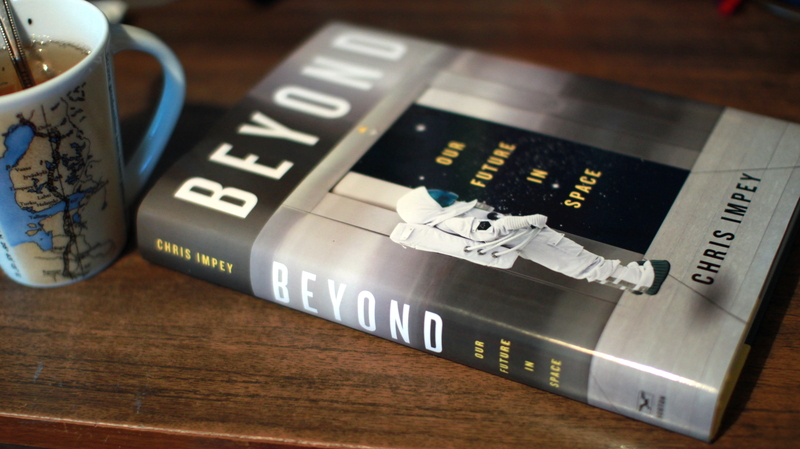 “Beyond” is an excellent book both for it’s choice of content and for the writing – it’s simple enough yet not too basic and the topics follow in a logical order and fast enough so even when you don’t particularly care for history or SETI or any of the smaller topics covered, you’ll be through with it soon enough anyway.